Coco MacKoul is a very brave girl. She is a cancer survivor and a wonderful, kind soul. She has endured 5 cancer surgeries and 2 rounds of chemotherapy. Throughout it all, she always greets her Daddy when he comes home and wags her tail when he pets her. She always says hello to her surgeon, Dr. Baez, and follows him to the exam room so he can help her to get better. She doesn’t cry when she has to get a shot because she knows the shot will make her better. Even though she is scared, she doesn’t cry. Such a brave girl! 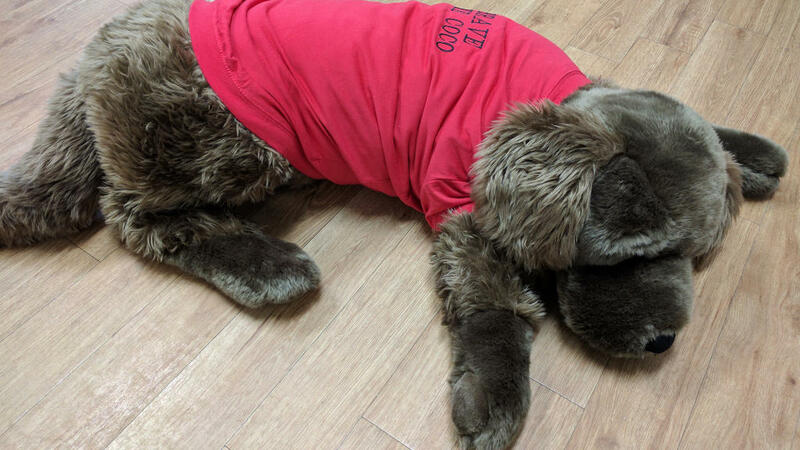 The next time you come to see Dr. MacKoul or Dr. Loyson, be sure to ask how Coco is doing. Coco would like to know that boys and girls are being brave. Dr. MacKoul and Dr. Loyson will help you get better so be brave… Brave Like Coco! When your young child — or even your teenager — whimpers at the mere mention of getting a shot, you probably have mixed feelings. On one hand, you want your child to be healthy; on the other, you feel bad for your child and just wish that the procedure was pain-free for them. Vaccines, by far the most common type of shot a child will receive, protect the health and well-being of children. Unfortunately, though, most children don’t really understand this and it can be really hard for them to come in for their shots. The good news is that you can have an active role in changing your child’s attitude. What a parent or guardian says and does before, during, and after the doctor’s appointment can help to calm a child, reduce their fears, and ensure that they develop a healthy attitude toward seeing their pediatrician. The American Academy of Pediatrics’ immunization schedule recommends that children get the bulk of their vaccines before age 2. Babies won’t remember the pain from a previous visit, but toddlers and preschoolers who need catch-up vaccinations may associate the doctor’s office with being poked and prodded. Don’t delay those infant vaccines until they’re over 1 because the older they are, the harder they are to vaccinate because they can remember the last appointment. Your attitude and appearance is more important than you may realize, because young children take cues from their parents. If you grimace or tense up, your child may become anxious, too. Parental behavior during vaccinations has been shown repeatedly to be a key factor in determining the amount of pain and anxiety a child will experience. Many studies have shown that parental reassurance (like saying “It’s OK!” or “Don’t worry!”) is actually likely to increase a child’s distress, possibly because it tells the child there’s actually something to worry about. Instead, it can help to smile and act like there is nothing amiss. In fact, the most important thing parents can do is remain calm themselves. This can be difficult, as research has shown that nearly a quarter of adults fear needles. When parents are anxious, kids pick up on that right away. If you are Brave Like Coco, your child will be, too! Have you ever told a little white lie and said there would be no jab at a flu shot appointment or promised that the needle prick wouldn’t hurt a bit? The truth may cause some worry, but lying means that your child can’t trust what you say, which sets a bad precedent for the future. Telling your child that shots don’t hurt is not a good idea because shots do hurt — although to be fair, the amount of pain varies greatly from child to child. A better response is something like, ‘It may hurt, but I’ll be here with you, and if it does hurt, the pain will only last a little while. '” You can also tell them that getting a shot is like getting a pinch on the arm. Give them a light pinch and ask how it felt. Five minutes later, ask how their arm feels and reminding them about the pinch — and let them know that a shot will be the same. Eliminate the element of surprise by teaching your child what to expect at his appointment. You can read books to them about visiting the doctor and encourage them to play doctor. Playing doctor can especially help ease anxiety for younger children because it helps them understand what to expect. While you are playing with your child, talk about how everyone has to get shots sometimes, even Mommy and Daddy, because even though they hurt for just a minute, they can help make us healthier for a long, long time. When it comes time for the actual shot, distraction may be your best bet. It’s been shown to reduce pain and anxiety associated with needles, research has shown. How you distract your child, though, will probably depend on their age. Babies and toddlers can be distracted with singing, stories, or playing with a small toy. Older children respond well to watching videos or listening to stories or music. Parents can also use cell phones to show movies or photographs to their kids during painful procedures. To this end, MacKoul Pediatrics can help. 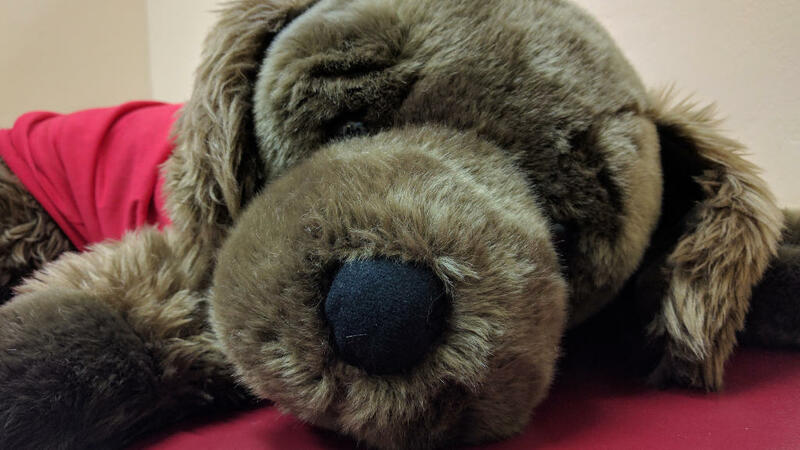 We have a very large, very soft stuffed dog that looks just like Coco! Kids love to hug it, and it really helps with their anxiety. Since it is washable, we are able to keep it super clean and super soft — and it even has interchangeable clothing that we can put on depending on the weather outside! 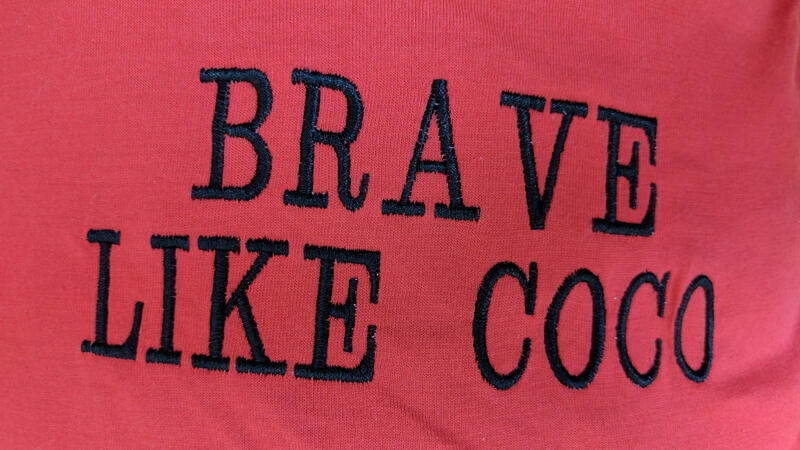 Looking for more ways to be Brave Like Coco? Here are some more resources we’ve collected to help.